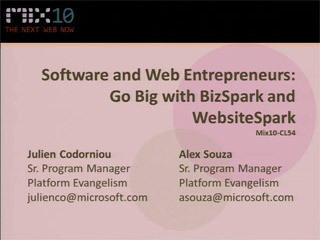 Come learn about Bizspark, a new partner program for early stage software startups. 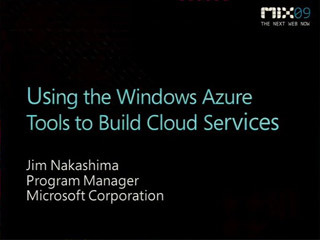 Discover how Bizspark provides startups the latest dev tools and production server licenses. Also hear about the worldwide network of experts available to help entrepreneurs succeed.